We are now coming into holiday season with the winter months encasing us and the vision of spring not too far away. 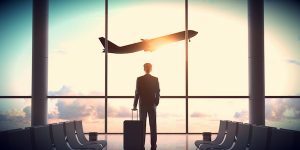 With that in mind we thought it prudent to think about travel security and how that may impact on our overseas adventures. 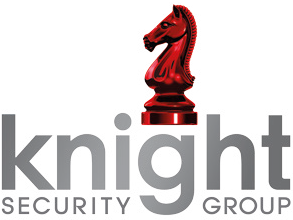 Knight Security protects High Networth individuals and their families whilst at home, work and when travelling. It is often after an event has occurred that clients come to us to seek advice to avoid becoming a victim again. We have recently been approached to review a client’s personal security after they fell victim to an organised and targeted crime. The client had decided to take a short break to visit their second home in Portugal. As was the norm, they decided to drive there in their UK registered vehicle through Spain with the intention of finally ending up at their home in Portugal. Having disembarked from the ferry in Santander they travelled together through the northern part of Spain. They had occasion to stop for a short respite at a motorway service station in the region of Valladolid, it was there that became suspicious of a car parked at an unusual angle near theirs, occupants appeared to be looking under the bonnet. Dismissing their suspicions, they left the station and continued their journey. A short time later they realised the car did not feel right and the Tyre Pressure Warning System alerted them to an issue. They also became aware of a car flashing them, they believed this was to alert them to a suspected flat tyre. It was reported that this occurred as they entered a long tunnel, correctly, they decided to wait until after the tunnel to stop. The vehicle flashing them stopped, offering assistance, they recognised this to the car from the service station. One occupant got out and offered to assist in changing the tyre. Being more senior in years they graciously accepted their assistance. When complete they continued on their journey and almost immediately noticed that they had been subject to a distraction crime, with a handbag and wallet having been stolen from the vehicle. After reporting it to the Police, it became clear that the second occupant of the following vehicle had sneaked out and removed the items. If you feel you may become a victim to a crime, remain in your vehicle, lock all doors and call the Police. If anyone approaches the vehicle, remember the 2-inch rule. Only open the window 2 inches to speak. Ensure that when leaving the vehicle, even for a short period of time, you lock all doors. Consider installing dashcams front and rear to your vehicles to act as a deterrent and also gather evidence. Ensure you know how to contact your emergency breakdown provider should you have a mechanical incident, or the car does not carry a spare tyre. Find out where your nearest British embassy or consulate will be, in case you need to contact them in an emergency. Inform your bank that you are travelling and understand their emergency contact details should you become a victim. Take photocopies of passports, keep these separate from our other travel documents. Ensure you have travel insurance to cover loss or damage to personal items. Phone 112 to contact the emergency services in any EU country. We advise against openly displaying valuables such as mobile phones or digital cameras and consider using a padlock on suitcases or backpacks.